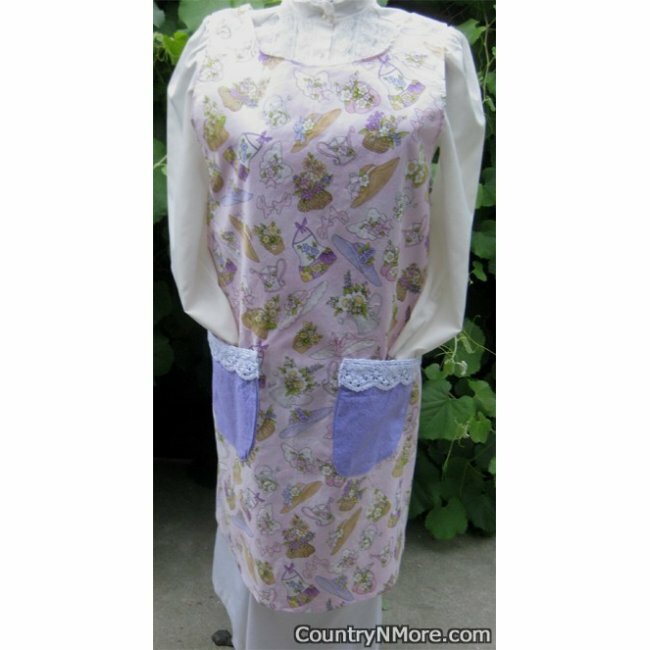 This gorgeous canning apron is not only good for wearing while preparing your favorite meal, but outside as well. 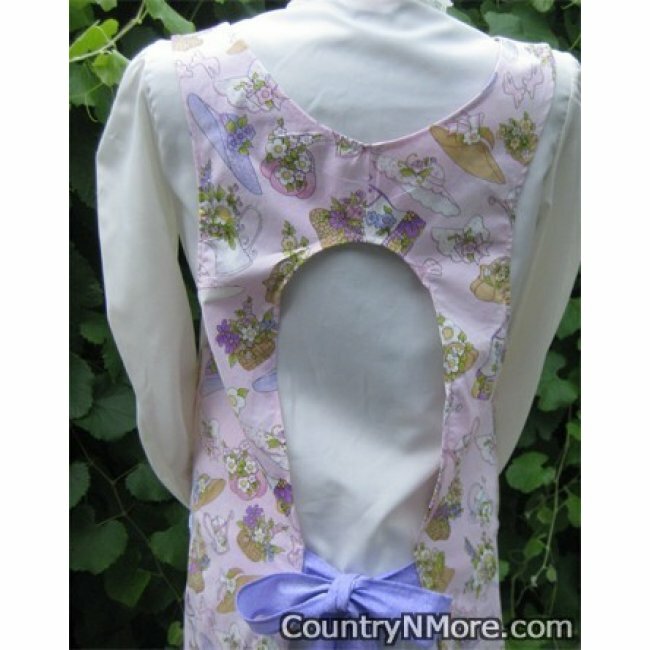 The print depicts gardening aprons and hats. 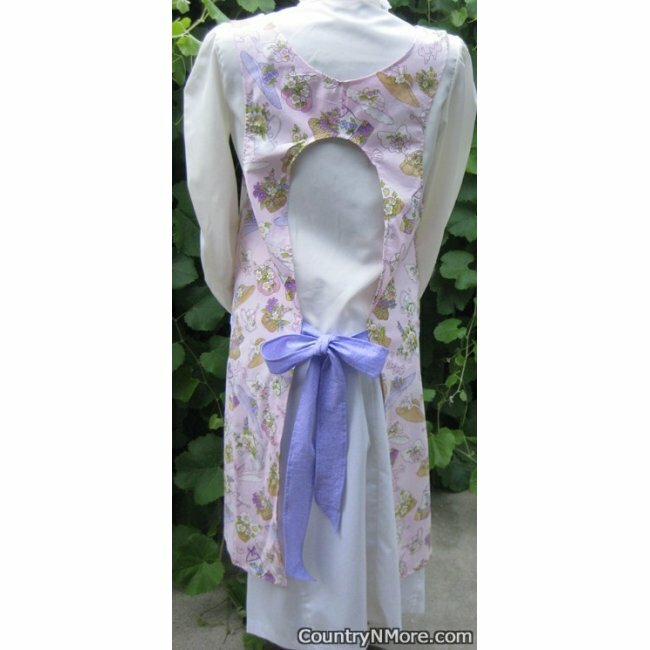 We used a purple floral print for the pocket and straps. 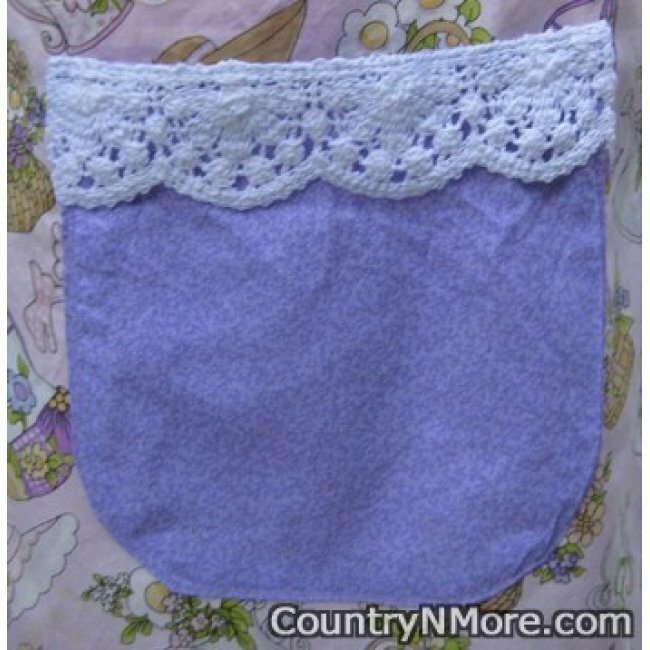 The pockets were finished off with a crocheted vintage lace.